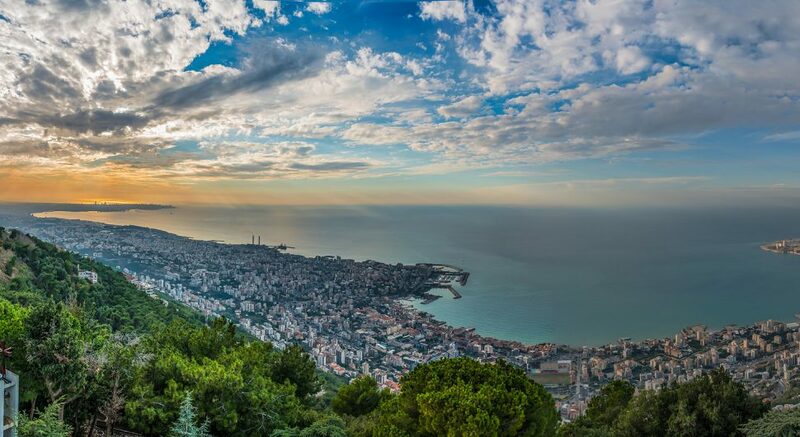 Photo 1: Jounieh Bay, Lebanon (Source: Paul Saad, Flickr). Lebanon has 40 rivers of which 17 are considered perennial (Map 1). The total combined annual river flow is estimated at around 3,900 million cubic metres (MCM), with most of the flow (75%) occurring from January to May. 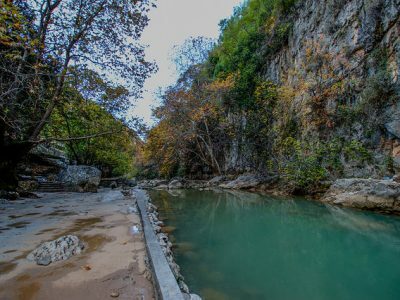 The 170-km-long Litani is Lebanon’s longest river with an annual average water flow of around 750 MCM. Other important rivers include the Orontes River, which is shared with Syria, and the Nahr Ibrahim River. In the south, the Hasbani River is a tributary of the Jordan River that flows towards Israel. The Nahr el Kebir River in the north flows along the Lebanese-Syrian border (see ‘Shared Water Resources’). The country’s other rivers are smaller and mostly located in the coastal region. Rivers are mainly replenished from springs that are fed from melting snow. Photo 2: Nahr Ibrahim River, Lebanon (Source: Paul Saad, Flickr). About half of Lebanon’s water supply is sourced from groundwater. The major aquifers in Lebanon are contained in limestone and are karstic in nature, which means that rainwater and snowmelt (the main source of groundwater recharge) are rapidly absorbed into the subsurface, feeding deep underground layers that contain numerous sinkholes. Known as the first and second “water towers of Lebanon”, the Keserwan Limestone Formation and the Sannine-Maameltein Limestone Formations are the two major aquifer systems in the country. There are also additional aquifers of local importance. The natural recharge rate of aquifers is estimated at around 500 MCM/yr, but with extraction rates of around 700 MCM/yr, overexploitation forms a growing problem, especially in Beirut, Tripoli, South Lebanon and the Bekaa. Coastal aquifers are particularly affected and increasingly suffer from declining water tables and seawater intrusion (see ‘Water Use’ and ‘Water Quality’). Photo 3: Waterfall in Chouf area – Lebanon ( Source: Laurent Tironi, Flickr). 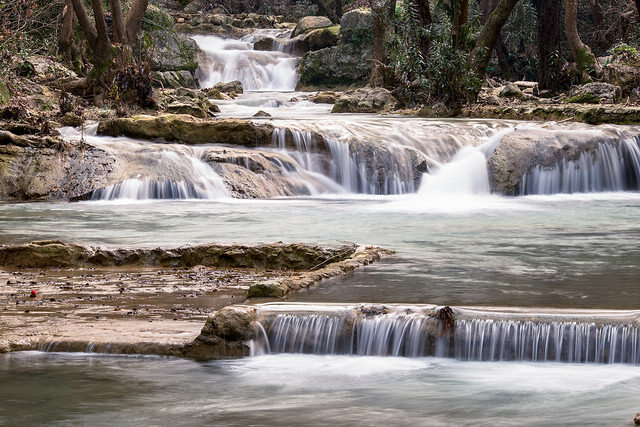 More than 2,000 seasonal springs feed into various streams in Lebanon, generating a total of 1,150-1,200 MCM/yr of water that is not fully exploited. 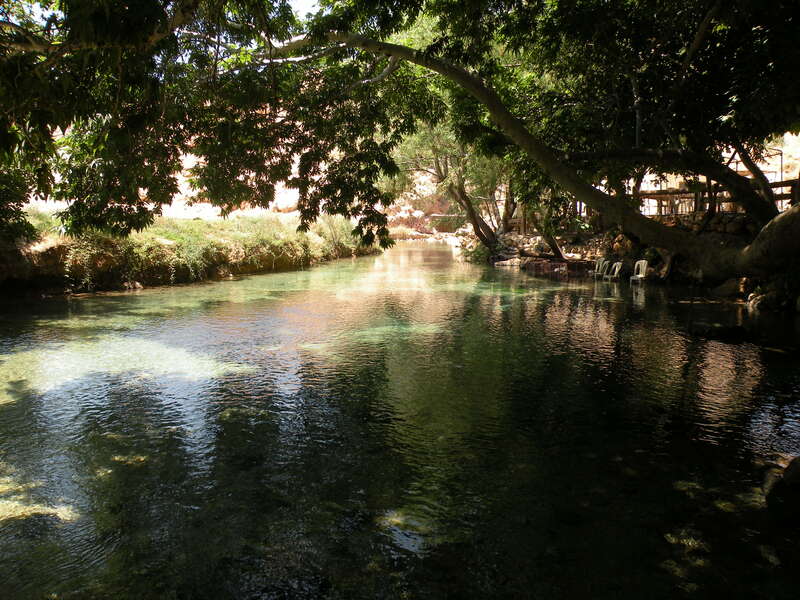 Off the coast there are also freshwater springs in the area of Chekka, Tyre, Damour and Awali. These submarine springs have not been exploited to date as they are difficult and therefore currently expensive to access. Lebanon hardly makes use of non-conventional water resources. Besides a few small-scale independent initiatives, there is no reuse of treated wastewater. Desalination is also limited, with small amounts being desalinated by the private sector (4.5 MCM/yr) and Electricité du Liban (5.5 MCM/yr). As in many other countries in the region, the data on water availability are often conflicting or inconsistent. Nonetheless, typical estimates are summarized in Table 1. Losses include losses from evaporation and plant transpiration (evapotranspiration), water that flows to neighbouring countries and groundwater seepage. Thus, out of total renewable water resources estimated at 4,100-4,400 MCM/yr, net potential available water resources represent about 2,400-2,700 MCM/yr, of which 2,000 MCM is deemed exploitable. According to Aquastat, 2014 the annual water availability in Lebanon is 933.8 m3 per person, which is just below the 1,000 m3 water scarcity threshold. Photo 4: The Orontes River in Lebanon (Source: Joelle Comair). Comair, F., 2009. Water Management and Hydrodiplomacy in Lebanon. Notre Dame University Press, Zouk Mikayel. Comair, F., 2009; Ministry of the Environment, 2011. Wagner, W., 2011: 94; UNDP, 1970. Liban Etude Des Eaux Souterraines, New York, Doc no.DP/SF/UN/44. El-Fadel et al., 2000. Other sources for this section: Ghannam, J., et al., 1998; Edgell, H. S., 1997; Wagner, W., 2011: 94; UNDP, 1970. Liban Etude Des Eaux Souterraines, New York, Doc no.DP/SF/UN/44. Ministry of Energy and Water in Lebanon (MEW), 2010; Korfali, 2007; El-Moujabber et al., 2006; Masciopinto, C., 2013. El-Fadel et al., 2000; MEW, 2010. El-Fadel et al., 2000; FAO, 2009; Ghannam, J. et al., 1998. According to studies from 2005-2008, the total annual flow generated by these springs does not exceed 200 MCM (Backalowicz, M., 2009. Composante “Analyse de l’Exploitation des Ressources en Eau/ Hydrogéologie/ Changement Climatique”. 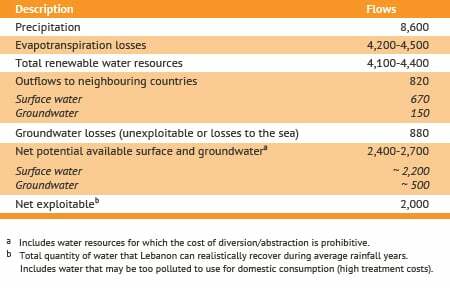 In National Integrated Water Resources Management Plan for Lebanon. Published by GWP-MED-EUWI. p.12). This is based on total renewable water resources of 4,503 MCM and a population of 4,822 million.